William and Courtney Bastian are a successful husband and wife team. They produce truly versatile German Wirehaired Pointers, at a higher standard of excellence. They breed only to produce the best GWP’s, which to them includes: health, temperament, conformation, and hunting abilities. At Claddagh, only dogs with an advanced hunt and show title, as well as sound temperament, and CHIC health tested are bred from. Titles are simply a means to prove the dog’s credibility, they are no substitute for real hunting experiences. 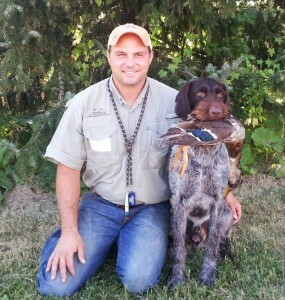 William and Courtney personally hunt their dogs over pheasant and ducks on the Horicon Marsh and surrounding areas, grouse in the northern woods of Wisconsin, in addition to hunting trips to ND, SD and out West. While they compete in conformation shows with their dogs, they do not breed for the purpose of having “show dogs”. William and Courtney are one of very few GWP breeder’s that are able to be highly competitive in the ring and field, because they put so much emphasis on a properly structured working dog, and produce this quality consistently. Claddagh GWP’s are bred for hunters, by hunters. William takes pride in training and hunting the dogs at Claddagh. He believes a GWP should be the ideal hunting companion; a versatile dog, that’ll hunt on both land and water for fur and feather. The dogs at Claddagh are trained using their natural instinct and positive reinforcement to achieve the highest level of hunting performance. 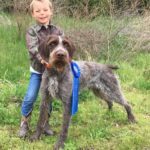 William has trained and handled GWP’s through all levels of AKC hunt tests: Junior, Senior, and Master Hunters, as well as all stakes in AKC field trials. He has also trained and handled through all levels of NAVHDA: Natural Ability, Utility, and Versatile Champion. William is a highly sought out AKC Hunt Test and Field Trial judge. He judges locally and all over the midwest, and has had the honor to judge the German Wirehaired Pointer, German Shorthaired Pointer, English Setter, Spinone Italiano, and Bracco Italiano Nationals. Courtney’s interests reside deeply in the health and performance of their animals. 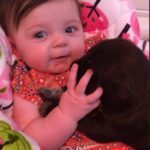 She was a veterinary technician for 10 years specializing in canine reproduction and canine rehab and sports conditioning. Courtney has earned her Bachelor’s degree in Biology and Animal Science with special interest in Canine Nutrition. She handles the dogs in conformation, agility, obedience, rally, along with some field trials, hunt and NAVHDA tests. 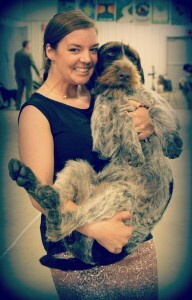 Courtney is the heart behind Claddagh’s breeding program, studying performance and pedigrees of dogs all over the world. She has an eye for structure and movement, as she believes a structurally sound dog with a correct dense, harsh coat, will be able perform in the field to it’s best ability. Courtney has completed her Canine Sports Medicine certification at the Canine Rehabilitation Institute. 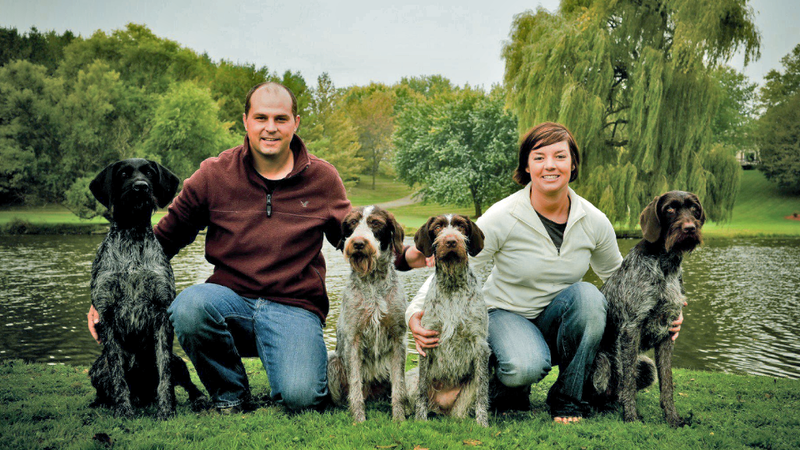 William and Courtney are active members of the German Wirehaired Pointer Club of America (GWPCA) as well as numerous other GWP Clubs in the Midwest. William currently serves as a board member of the GWPCA, representing the Midwest Region. William and Courtney both serve as officers for the GWP Club of WI, and head up the club’s field trials, hunt tests, show specialties, and training days. They volunteer as GWP breed reps at Pheasant’s Forever “Pheasant Fest” and at the Midwest Dog Fair, educating the public about the dual purpose dog, as well as promoting the National GWP Rescue. They also put on seminars and demonstrations for hunter’s safety, Cabela’s Dog Days, and organize youth hunt events. Courtney and William are dedicated NAVHDA members, that utilize the NAVHDA program as an important means of assessing their breeding program. Every Claddagh GWP puppy is, at minimum, Natural Ability tested. They are also active in their local Kettle Moraine NAVHDA Chapter, where they are both avid volunteers for training days and running tests. William and Courtney are also members of several conservation groups including: Ruffed Grouse Society, Pheasant’s Forever, Ducks Unlimited and National Wild Turkey Federation. Kids, Burke and Blayre, are growing up and learning everything dogs. Burke feeds, walks, trains, and gives every dog a bedtime snack each night. They provide great socialization for all puppies whelped and raised at our house!